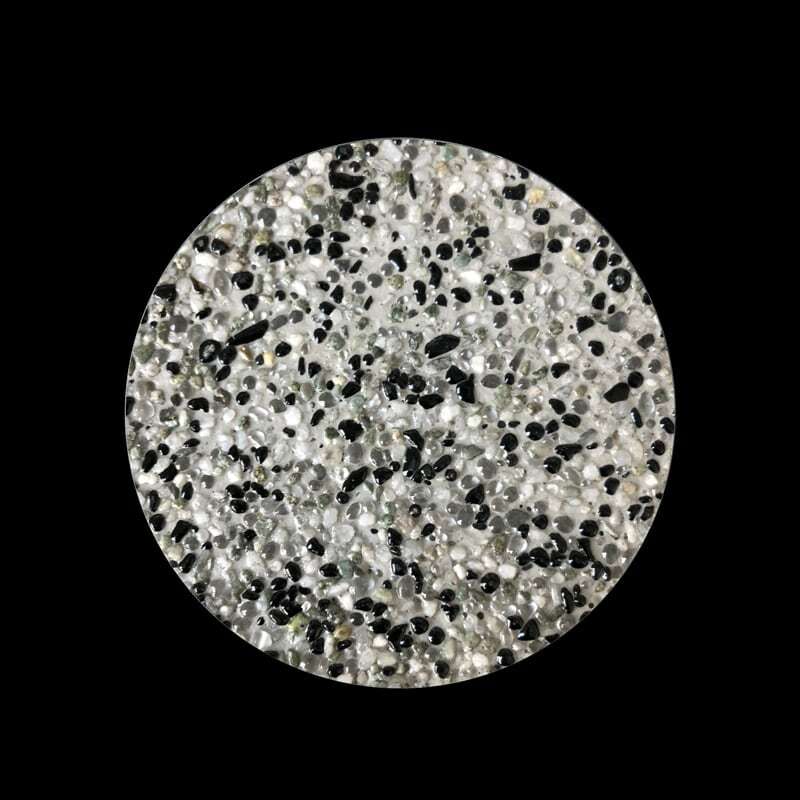 A grey pebble background with black and white glass beads. 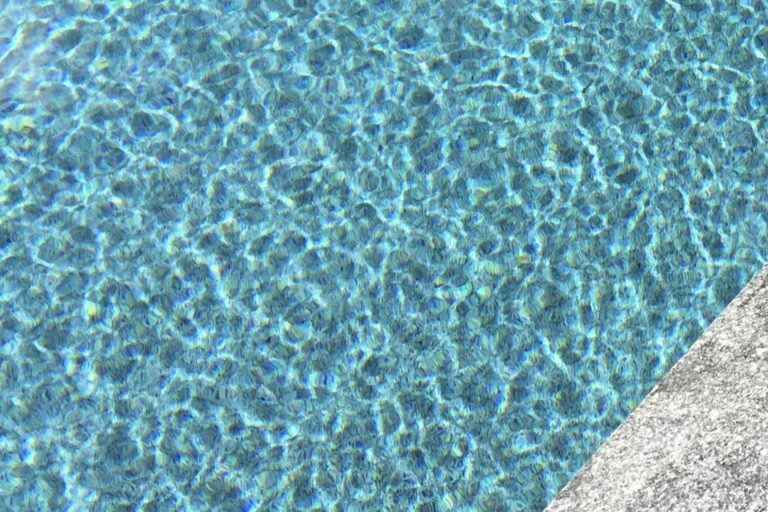 This unlikely combination is the underlying tone for a fresh ice blue pool colour. 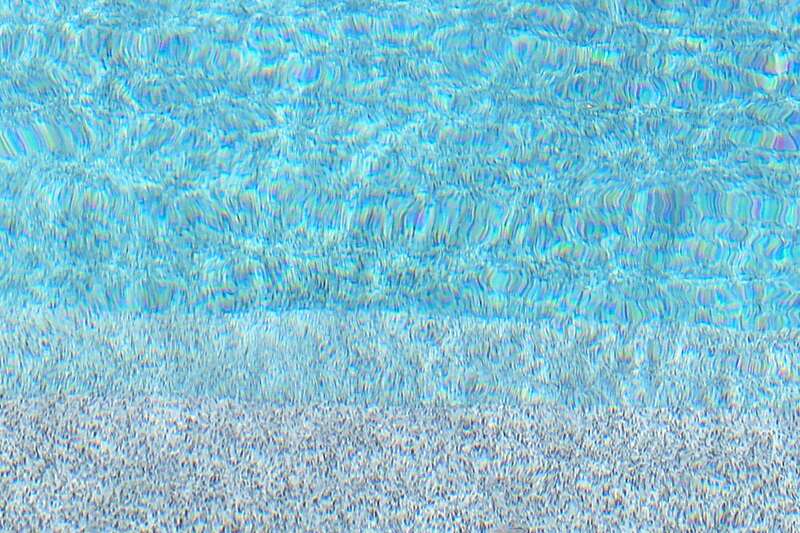 This is an understated colour that brings a surprising amount of clarity and beauty to the water.